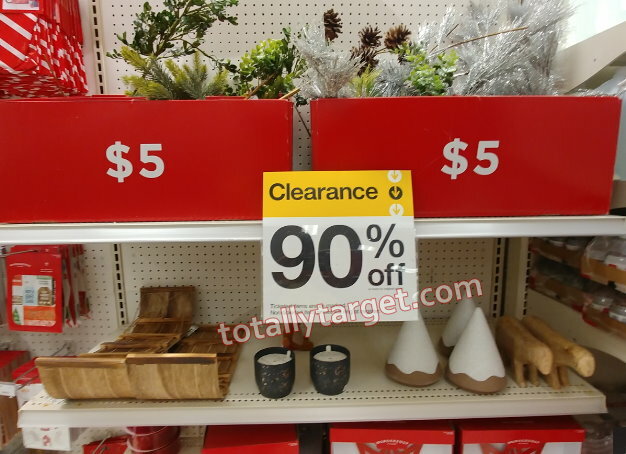 Just a heads up that some of you should find after-Christmas clearance up to 90% Off at Target today (12/31). It will likely only be a small percentage of stores that drop today, but if it hasn’t dropped at your stores today, there is a good chance it will drop tomorrow – so keep a close eye on it. There may be a few stragglers who won’t drop by tomorrow, but the majority of you should. Be sure and scan though even if your signs say 70% because you never know! They may just not have their signs out yet. Only one of my local Tampa stores were at 90% today, and pickings were somewhat slim. However, my store had tons of gift tags, bows, gift bags and more. 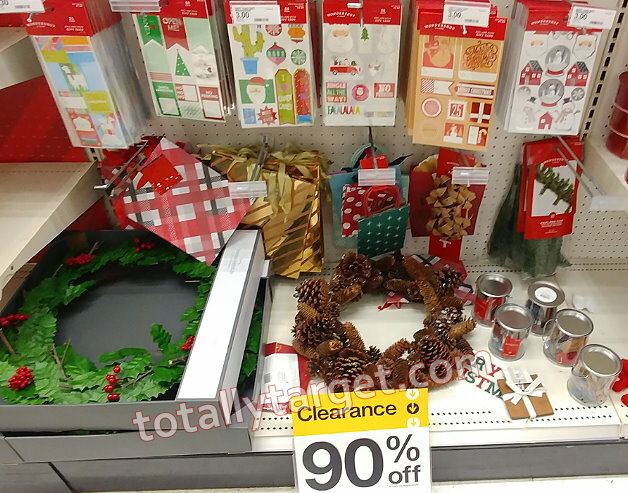 I love stocking up for next year at 90% off on things I can use next year, or even some items like gift bags that can be used for other occasions throughout the year. There was also quite a bit of home decor this season, and my store did have a few things like candles, centerpieces & greenery all at 90%. And some of these items might not have gotten moved back to the holiday clearance area, so be sure and take a good look thru the regular aisles as well. 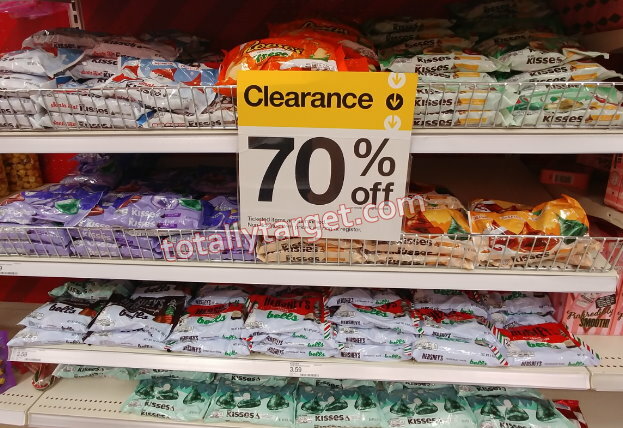 Even if your store hasn’t gone to 90, be sure and check for food and candy which may be at 70% off for some of you too. My store had just tons of holiday candy at 70%. This will likely be the biggest drop we will see on food and candy, so if you see any you want, you might want to grab it before it moves off the floor. While my store did not have any holiday edition household items left, hopefully some of you will find some at your stores. You can sort the blog by holiday clearance for more details on items to keep an eye out for at your stores. 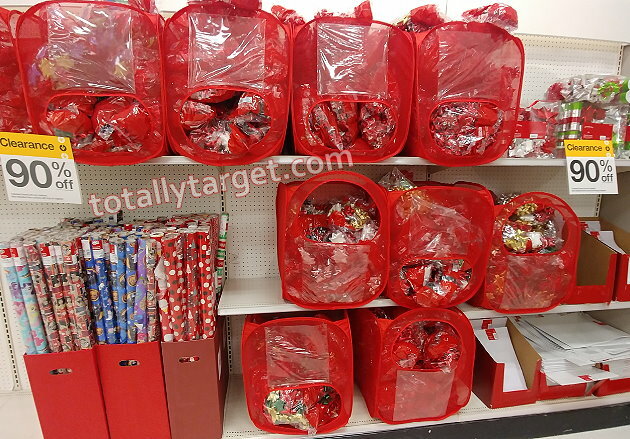 I hope those of you out there who’ve been stalking the Target Christmas clearance find lots of goodies too! Keep in mind once your store hits 90%, the clock will be ticking to make room for Valentine’s Day items, so don’t wait too long to go! Target in Yorkville, IL has 90% of Christmas, 70% of Christmas Food, 50% of Christmas Cosmetic sets, 50% of kids Christmas books, and found some Hearth & Home 90% on a special end cap by Home. My Cedar Rapids ,Ia store is 90/70. Slim pickings but did find some Glade candles for 30cents and I had $1 off 2 coupons. Picked up 4 candles and was shocked the register didn’t adjust the coupons down but gave me overage. Had 2 $1 coupons for Lindt chocolates so got them for 39 cents. Always fun to explore what is left. Happy New Year Kerry! Thanks for your tips! I was able to find Mrs. Meyers holiday limited edition dish and hand soaps for 39 cents. I was also able to find many holiday candles for $1 (the nice ones) and 30 cents for Glade! Happy New Year!